When's the last time you changed the filter in your forced air furnace? 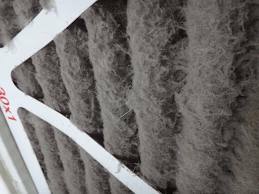 Changing your furnace filter is important for many reasons. One might think we're hounding you...Making a mountain out of a molehill...Suggesting something totally unnecessary...NOT TRUE! There are specific reasons that it's important to perform a filter change for your furnace.